They're fast, they're mean and they never race clean! They are Rude Racers! 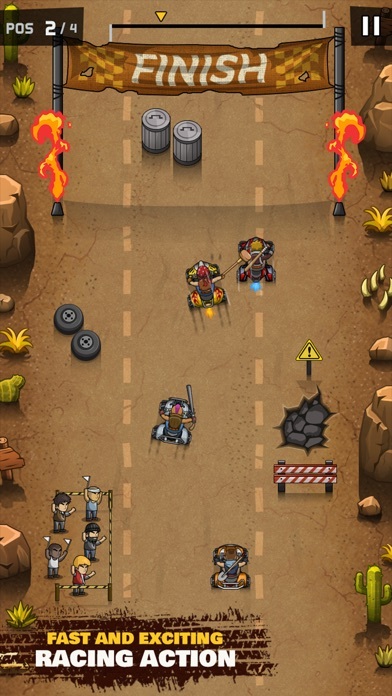 Rude Racers is a fast and furious bike racing game with super fun gameplay that is easy to grasp and always challenging! 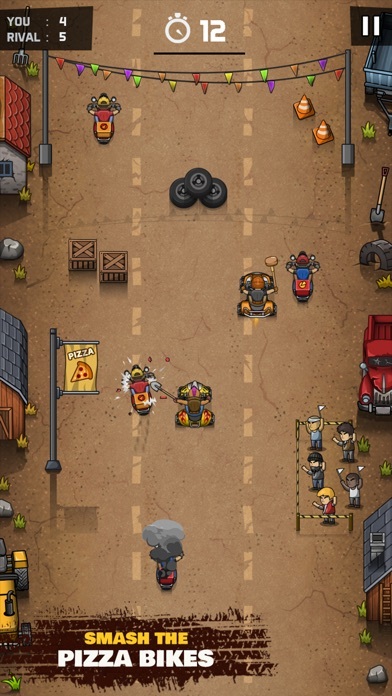 The innovative gameplay, simple and balanced driving system and satisfyingly fun combat mechanics deliver the thrill and adrenaline rush of old school combat-racing. 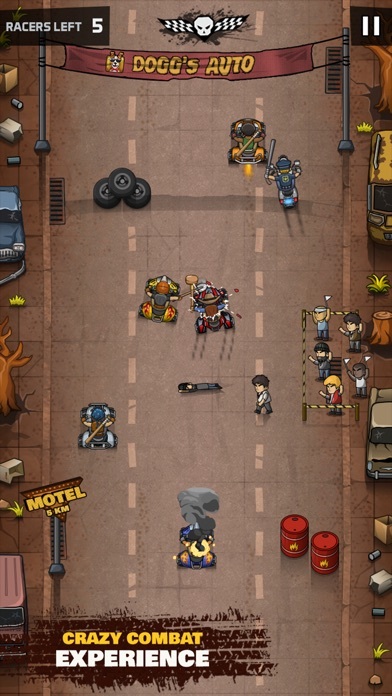 There is plenty of crazy action to experience over 5 detailed Seasons with an immense variety of competitions and challenges- right from the split-second Knockout races to the extreme combat of the Death Match events, Rude Racers is buzzing with fresh and exciting action at every step. 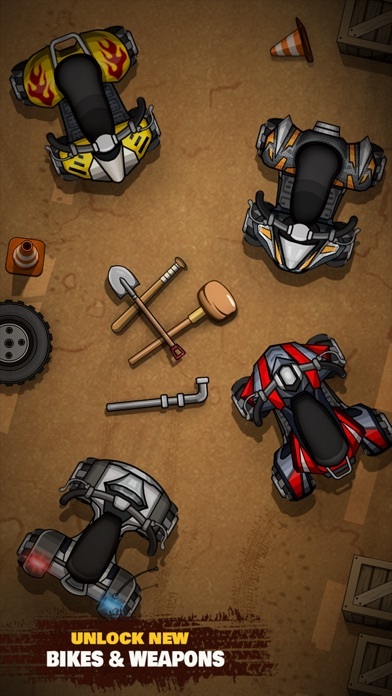 Win trophies for completing events and unlock new bikes, extreme weapons and more madcap riders to best suit your driving and combat style. 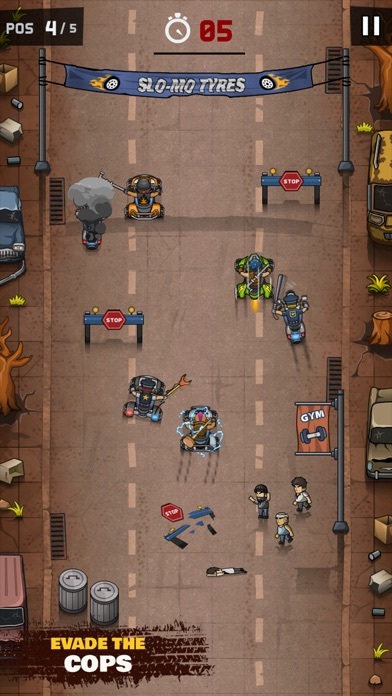 Use Cash to juice up your bike with special Kits and unleash total chaos in special events- take out the pizza bikes in Pizza Panic, dodge the oil barrels in Exploder or escape from the cops in the Lawless series! 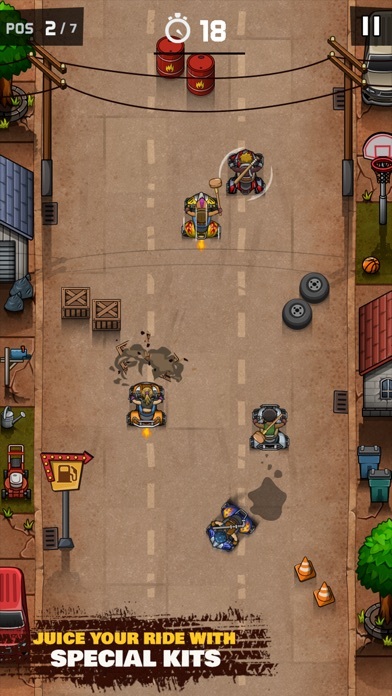 Check out this extreme-rules game and prepare to smash, crash and step on the gas in this crazy carnival of speed! > Free to play, all the way! > Dozens of enthrallingly fun event-types! > Unlock and select from 14 riders! > 7 extreme weapons to unleash mayhem! הורידו עכשיו את Rude Racers!, אפליקציה אקשן שפותחה במיוחד עבור אייפון ואייפד ע"י Appsolute Games LLC. נשמח לשמוע מכם תגובות, שתפו אותנו בחווית השימוש, שאלות או טיפים שימושיים על Rude Racers!. צריכים עזרה? נשמח לעזור לכם לעבור כל שלב במשחק Rude Racers!, החל מהשלבים הבסיסיים ועד לשלבים המורכבים באמצעות מדריכי וידאו, צ'טים, טריקים ועוד. You can’t stop playing until trying all the features & modes. Thumbs up! With not much changing as far as graphics or gameplay, why, in each season, the events are fewer and fewer? And why so few choices? You actually have a game that’s sort of fun and mindless so you put almost 0 effort into upkeep? Fun game. 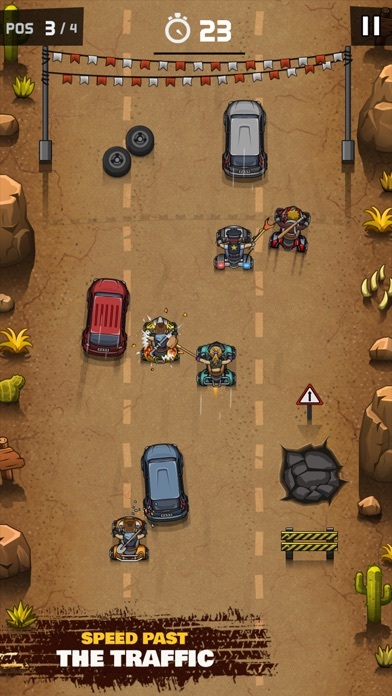 Kinda like road rash meets spy hunter. Would be cooler if I could play against my brother like back in the day.